Reverse spiral trommel screen is used to sieve and grade minerals for further grinding. It is mainly composed of a sieve, a connecting flange, a material collector, a medium fraction storage bin and a fine fraction storage bin. 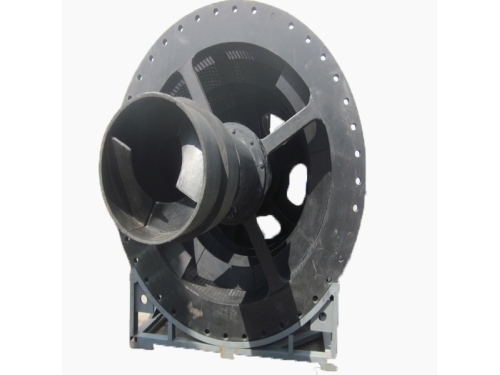 This high efficiency drum screen is fixed at the discharge end of an autogenous mill or grate ball mill through a connecting flange. Generally, it is applied in mining industry. 1. Reverse spiral trommel screen is expected to be packed in iron cases. 2. Reverse spiral trommel screen should be delivered within 30 to 60 days after receiving down payment. Field installation and maintenance will be offered on the condition that purchase orders of high efficiency drum screen reach a certain amount. Jiangxi Naipu Co., Ltd. is a professional maker of mining equipment and spare parts. The company’s main products include slurry pumps, flotation spare parts, reverse spiral trommel screen, and so on. Naipu has accumulated lots of experience and is able to develop new products. Besides, we actively employ new, efficient and durable raw materials. The company cooperates with several famous universities to gain technological help. For more information, please visit our website or contact us directly.